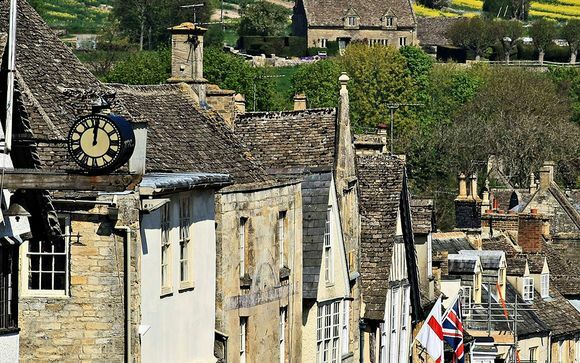 Imagine the picturesque scene; lush-green valleys, caramel-coloured stone mansions, gentle rolling hills, enchanting little villages, quaint bridges, thatch cottages and rickety old pubs - this is the Cotswolds. Declared an Area of Outstanding Natural Beauty in 1996, this stunning region covers a huge 790 miles², and is the second-largest protected area in England after the Lakes District. The booming medieval wool trade brought the Cotswolds its wealth and scattered this luscious countryside-haven with beautiful honey-coloured villages, drawing visitors into their enchantment still to this day. The perfect place to get away from busy modern life; stroll through the scenic landscapes, cuddle up in a cute, creaky cafe with exposed beams and enjoy a spot of traditional afternoon tea. 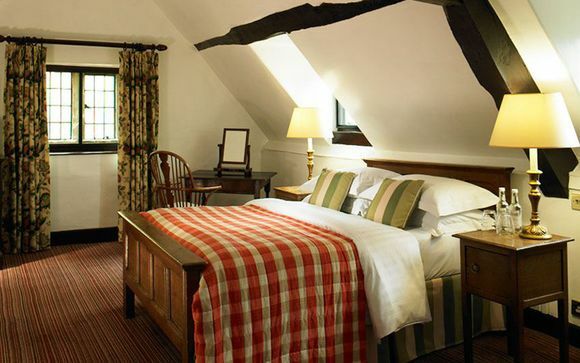 Situated right in the centre of the village of Broadway, this traditional Inn, rich in history and charm, has been welcoming travellers to the Cotswolds since the 16th century. The Broadway parish register has the first reference to the Inn in 1532 and it was recorded that, in 1651 Oliver Cromwell stayed the night in the hotel's Cromwell Room and Charles I used the Inn to meet his supporters. As one of the most famed hotels in the region, the 4* Lygon Arms has an enviable reputation for superb cuisine and the best of 21st-century comforts. Set in 3 acres of beautiful grounds, including lawns, flower gardens, croquet and floodlit tennis courts, the inn has its own spa, fitness centre and swimming pool. So cuddle up in one of the many charming lounges where you can relax, including the Gin Corner, the Tapestry Room or the Drawing Room, and gaze into the ancient log-burning fireplaces; watch yourself drift back in time to a very different England. This offer is based on a Splendid Room. The Splendid Rooms are positioned around the hotel in the Main House, Orchard and Courtyard areas of the hotel, they've all got King size beds. The décor therefore ranges from more traditional types (think stone fire places and mullioned windows dating back to the medieval times) to modern rooms. Just for you: Bottle of prosecco. Members staying 2 nights will receive dinner on the first night of the stay. Awarded the accolade of a AA Rosette, this truly is a special dining experience. The Great Hall, a stunning dining room and one which has been recommended by a host of publications for its food, ambiance and service over the years. Here flawless attention to detail will ensure that every occasion is memorable. The room lives up to its name with an imposing barrel-vaulted ceiling, 17th century Minstrel's Gallery, and polished oak-panelling. Using the best, local produce where possible, the food served is often sourced from the UK's top suppliers and diners delight in this fresh cuisine. Warming dishes in a heart-warming atmosphere is the order of the day at Barrington’s. The current favourite is the home-made burger with rustic chips followed by a refreshing lemon cheesecake. Enjoy a delectable, traditional afternoon tea with finger sandwiches, dainty cakes and scones with jam and cream - this is casual-quintessential England at its best. Relax in one of England’s original coaching Inns and adjoining ‘Tapestry Room’, and allow yourself to be warmed by its old-worldly charm. 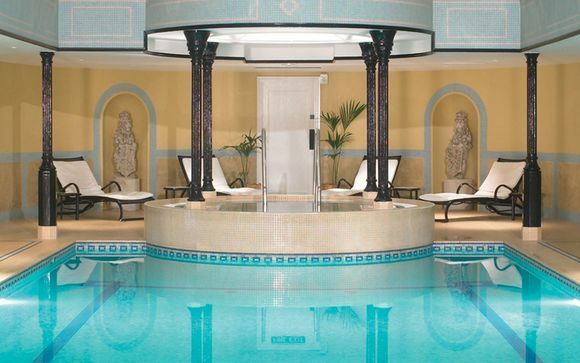 Take yourself off to the spa for a little bit of relaxation time; enjoy a refreshing swim in the indoor swimming pool, soak in the whirlpool, relax in the sauna or steam room and cosy up in the jacuzzi. Workout in the fitness centre or on the tennis courts and then follow it with a little game of croquet on the beautiful lawns. Allow yourself to be pampered with a treatment in the beauty rooms and then recline in the traditional bar with your favourite beverage. Directions: From the M40 north, exit at junction 8. Take the A40 to Oxford and continue to Burford. Take the A424 through Stow-on-the-Wold and pick up the A44 to Broadway.